American author John Green (John Michael Green), is not only a novelist but a vlogger in YouTube, creates online educational videos and a historian as well. This novelist whose birthplace is in Indianapolis wanted to be an Episcopalian minister. But fate had him in a different direction. Green graduated at the Kenyon College, with a degree of “double major in English and Religious studies”. Later on, he was inspired by his experience as he worked with in a children hospital being a chaplain, hence, the birth of his novels. Below, we have gathered some of his creations for you book lovers out there. 1. 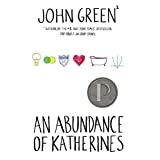 An Abundance of Catherines: Tells about the story of Colin Singleton, a high school graduate, who seems to be of ill-fate being dumped by numerous Katherines. The male protagonist then quests to prove his Theorem of Underlying Katherine Predictability with his friend Judge Judy. 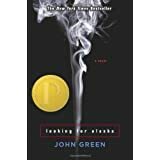 2.Looking for Alaska. This fiction novel has been awarded several times such as Winner of the Michael L. Printz Award and a finalist of Los Angeles Times Book Prize. Published in 2005, this work became a New York Times bestseller. 3. Paper Towns. 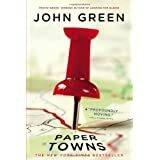 Now, soon to be on the big screen this summer 2015, starring model-actress-singer Cara Delevingne and Nat Wolff, this book takes you to the heights of teen years, quenching curiosity and understanding love. 4. 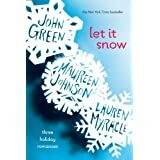 Let It Snow: Three Holiday Romances. 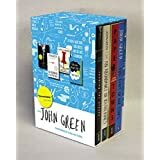 John Green along with two other equally distinct authors, Lauren Myracle and Maureen Johnson present you with this wonderful creation for the winter season. 5. The Fault in Our Stars. 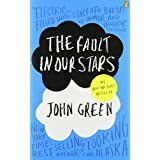 Having been adapted into cinemas last 2014 starred by Shailene Woodley and Ansel Elgort, this book hadn’t lost its shine. Want more of John Green’s creation? Here is a Box Set especially for you! Next article Gotta Love Anne Curtis!